CANALFRONT set in the unique & desirable Brigands Bay neighborhood of Frisco. Very few properties like this remain!! 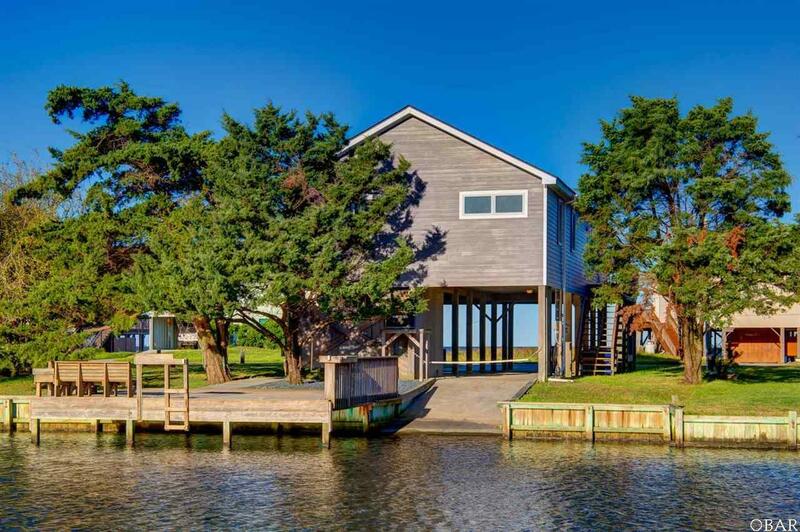 Dutch Treat offers single-level living, vast & unobstructed views of the Pamlico Sound, and easy sound access via the deep-water canal directly behind the home--a truly MUST SEE property!! The interior features 3 bedrooms--including 1 queen master with private bath--and 2 full bathrooms. Open living/dining/kitchen with breakfast bar seating leads directly to a large screened-in porch with jaw-dropping views and UNBELIEVABLE sunsets. Want to bask in the rays? 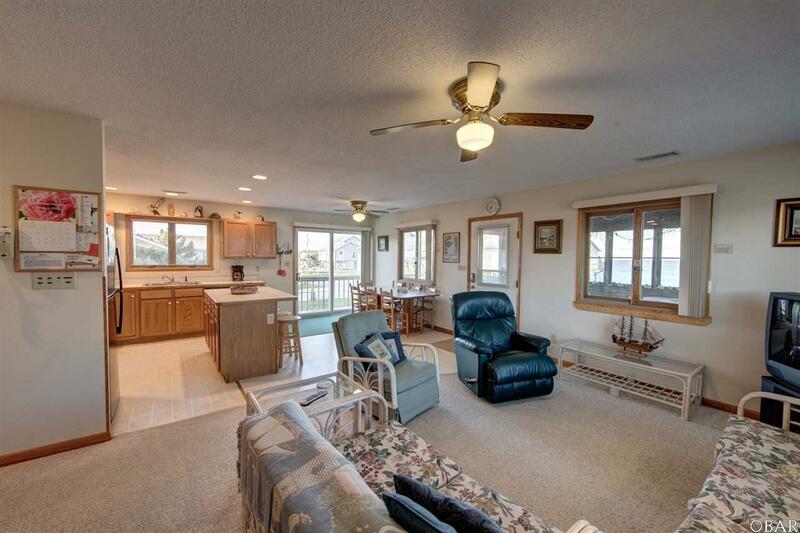 No worries, as the sun deck with built-in seating offers views equally as fabulous!! 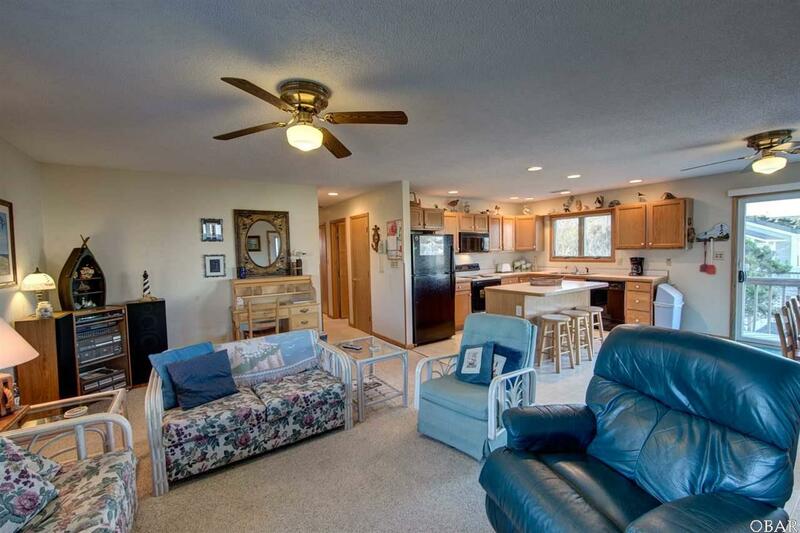 Move downstairs to the concrete drive under the house that extends to a PRIVATE boat ramp, perfect for launching flat-bottom and skiff-type boats, as well as kayaks and windsurfing gear. 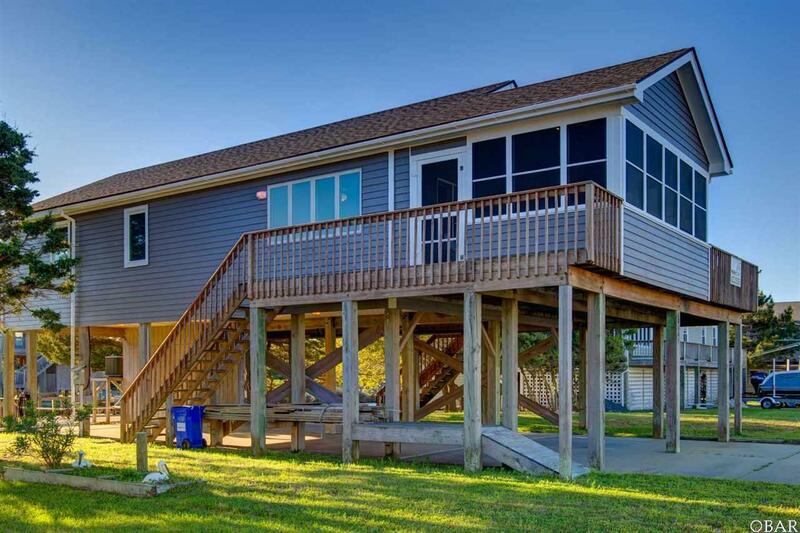 Tie up at the private dock with fish-cleaning table and large sundeck to spend your days fishing (right off the deck), or clamming and exploring the waters of the Pamlico Sound. Large list of recent improvements in this already well-maintained home includes a new roof, septic field, refrigerator, HVAC unit, & exterior paint. Inquire today on this unique opportunity!! !